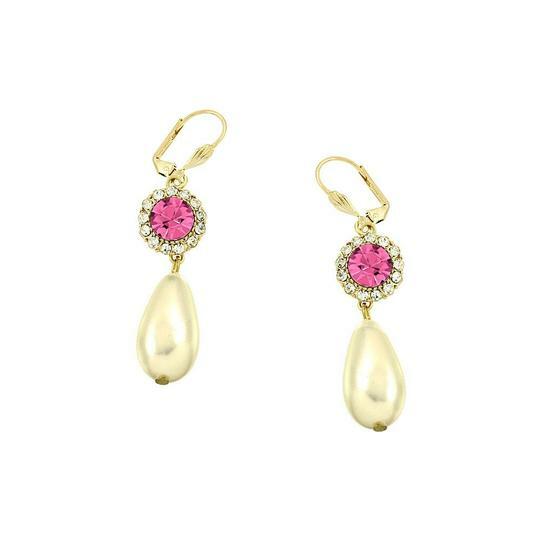 These Elegant 2 1/8" Long pearl earrings are the abstract accents of 1 large Pink Rhinestone Crystal and several baby crystal stones. The radiant earrings have lustrous marquise motif to create the perfect jewelry for any bridal or special occasion. They feature a unique design with a modern flair. Quality Rhinestone crystal motif finish with crystal jewels and are plated in gold. Post Back .